• Surgihoney has been tested in Hampshire hospitals for a year. 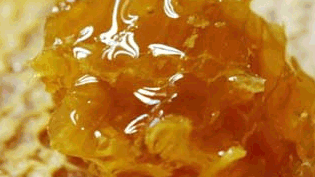 • Wounds, ulcers and MRSA healed within days thanks to the honey. However, Surgihoney, which is stored in 10g sachets, can kill bacteria, parasites and fungal infections while also encouraging wounds to heal. Dr Dryden said: ‘I have conducted numerous laboratory tests and compared it with honeys from around the world. ‘I found Surgihoney better for treating every type of bug. So for the past year I have been using it on patients and the results have been amazing.